Chinese red dates, also known as jujube, have had a protocol for export to Chile signed during Chile Week in Bejing. 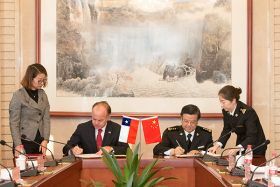 Chinese customs minister Ni Yuefeng, and Chilean minister of agriculture Antonio Walker also signed updates to the protocols for fresh fruit export from Chile to China by air with option for transhipment in a third country. Documentation on the next product of interest for access from Chile to China was also provided, detailed as citrus. “This is just beginning, it is still necessary to penetrate China's entire domestic market, we are only now in some coastal cities,” said Walker. El Economista reported that in the near future, a phytosanitary opening is expected to begin the export of pears from Chile to China. 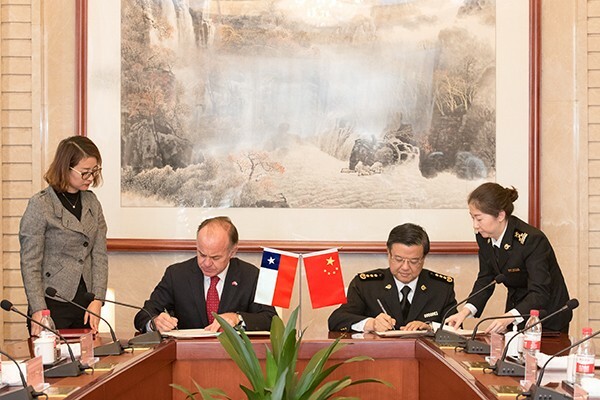 “Exports from Chile to China of agricultural and forestry products have grown by 57% this January-September 2018 season, compared to 2017,” said Walker, adding that there is still more room for continued growth. During Chile Week special focus was made on Chilen cherries. Promotions were intended to increase visibility on ecommerce platform JD.com ahead of Single’s day which takes place on 11 November.